Tucked into the gravel sandbar known as Burlington Heights, in a small family plot, the bones of T.B. McQuesten are laid. It's a fitting resting place for a man who could claim the distinctive geography of the Heights as one of his life's canvases. 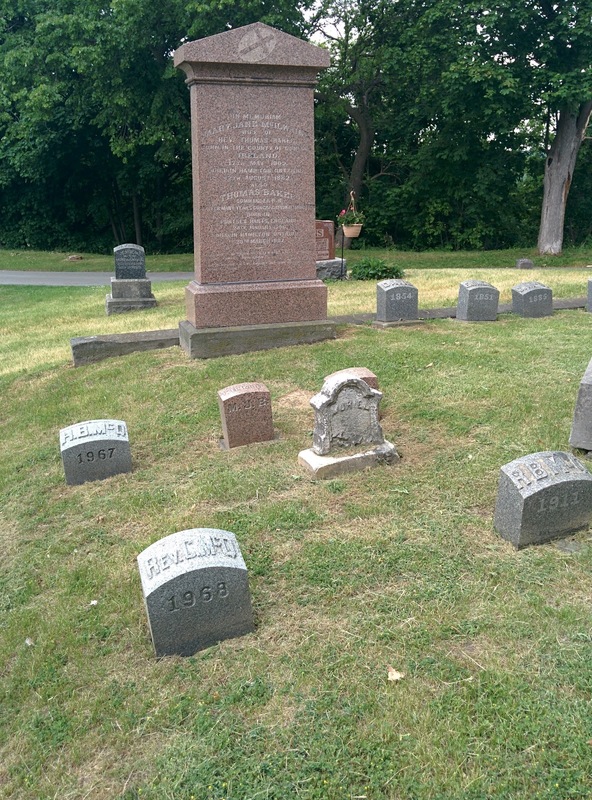 When the earth opened to receive him in 1948, the Hamilton Cemetery overlooked the peaceful Chedoke River Valley with Princess Point an easy landmark. Further along York Boulevard stand monuments to his time on earth: the signature high level bridge over the canal, the Royal Botanical Gardens' Rock Garden, or across York Boulevard from the cemetery a restored Dundurn Castle. The marrow of McQuesten's contributions to the city are in each of these places. His days on the influential city parks board spanned almost three decades until his death, the lasting results found in natural spaces and parks like Gage Park, Kings Forest, the RBG and Cootes Paradise, even McMaster University, coaxed here from Toronto for a 1930 opening, all McQuesten projects. If parks were meant to act as lungs for the city beautiful, the other McQuesten imprint could be seen as cigarettes: The QEW highway and its shorter prototype Cootes Drive, the province's first truly modern highways, steered into being during his time as provincial Minister of Highways. McQuesten transformed Ontario highway design in the mid 1930s, drawing on the German Autobahn and Robert Moses' USA parkways for inspiration. These highways were engineered to be safer by design: limited access points, low grades, easy curves, a centre median to prevent head on collisions. It's true what they say about good intentions, they really are paved. As the highways were put into use, the modernist McQuesten was appalled by the ensuing carnage. "The Department of Highways," he complained, "is doing everything it can to design and construct highways which will be as accident proof as engineering science can make them, but this can be of little effect unless the human beings who travel the highways take upon themselves the responsibility of controlling the ever-present 'human factor.'" To combat human "carelessness" and the "craving to drive too fast ... altogether too prevalent in Ontario," a series of advertising pleas were dispatched by the department. A 1936 article announcing the ads paints a picture of death strewn roads, with 560 traffic fatalities in Ontario, almost half of them pedestrians. The slogan? "Try Courtesy". Hell, it turns out, is other people when it comes to road safety. McMaster, whose move to Hamilton hinged upon McQuesten's offer of acres of landscaped property designed to be indistinguishable from the neighbouring RBG lands, would present a dilemma that came too late for McQuesten's input. A decade after his passing, the campus he painstakingly helped plan and design began a rapid expansion. In the 1960s, two 80 acre RBG properties adjacent to campus fell victim to McMaster's aggressive growth. 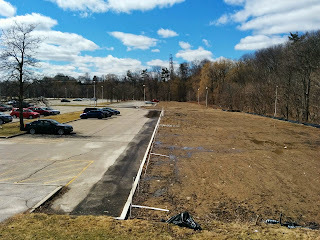 The beloved RBG Sunken Garden was displaced by the imposing cement block of McMaster Medical Centre, and the rare cold water, spring fed habitat and trails of Coldspring Valley Nature Sanctuary, west of Cootes Drive, were filled and paved to serve McMaster's projected parking demand. 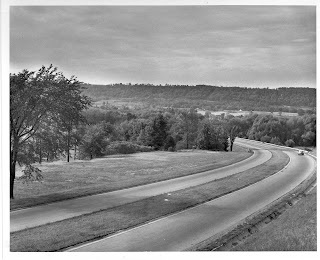 At the same time, the entire eastern lands of the RBG's Cootes Paradise were lost to the Chedoke Highway (Highway 403). McQuesten's eternal slumber would now forever be disrupted by highway noise rising from the valley. The loss of these key properties caused much soul-searching on the part of the board of the Royal Botanical Gardens, who worried about witnessing the disintegration of their properties. As RBG director Leslie Laking noted "an arboretum and parkland generally are vulnerable targets because only trees are in the way." McQuesten's concern about human traffic fatalities was real. We can only guess how he might have felt as cars, highways and parking lots began to further encroach on his beloved parks and their non-human inhabitants; like a snake eating its own tail. The unintended trajectory of McQuesten's contributions, tranquil nature parks on one hand and modern highways on the other, continue to intersect in a shell game of contradictions. The turtles of Cootes Paradise crushed by traffic on Cootes Drive brutal evidence of how this induced conflict plays out locally. With demographic shifts trending away from cars and toward transit, opportunities to repurpose space set aside for roads and parking arise. What we can regain of the natural world is a conversation that's already begun. In McMaster's parking lot, the wasteland of asphalt gives way to ecological rehabilitation in planted oaks and grasses, reawakening a long buried dream that was Coldspring Valley. It is testament to McQuesten's foresight that we can even have this conversation in Hamilton today. The challenge before us is to refocus McQuesten's early 20th Century vision to better reflect our evolving understanding of modern ecological values. 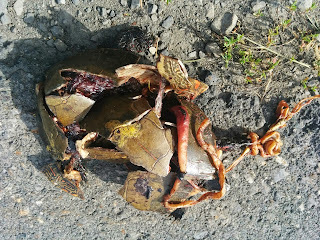 Will it be traffic or turtles? Parking or Paradise?